Can I polish my toenails during treatment for fungal toenails? Most women enjoy polishing their toenails in order to cover the unpleasant appearance during treatment for fungal toenails. Depending on how the toenail fungus is being treated, this could be okay. If the oral medication is being used to treat the toenails, the nail polish will not interfere with the treatment. If a topical antifungal medication is being used, such as Formula 3, it is best to not use toenail polish at all, since it is difficult for the medication to penetrate the polish and does not reach the toenail. 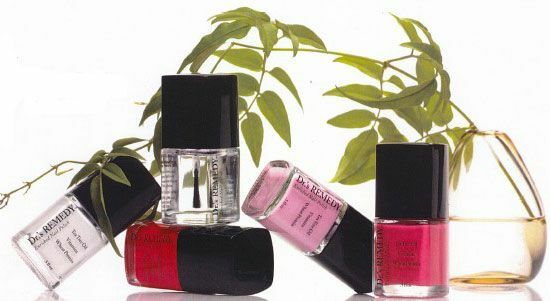 If you must polish your nail, it is important that you choose a healthy, enriched nail polish. It must be said that most nail polish is damaging to the toenails. Nail polish has a consistency similar to liquid plastic and suffocates the toenail. In addition polish uses caustic chemicals, such as formaldehyde and toluene, that damage the nail. Using a "healthy" toenail polish, such as Dr's Remedy Enriched nail polish, prevents that damage by not including those chemicals and adding natural antifungals and vitamins. Even the polish remover does not have acetone, which is also damaging to the toenails. If you are concerned that you might have a fungal infection in your toenails, contact Houston podiatrist Dr. Andrew Schneider. Dr's Remedy enriched nail polish is available in our Houston office. For those outside the Houston area, you can order Dr's Remedy online.